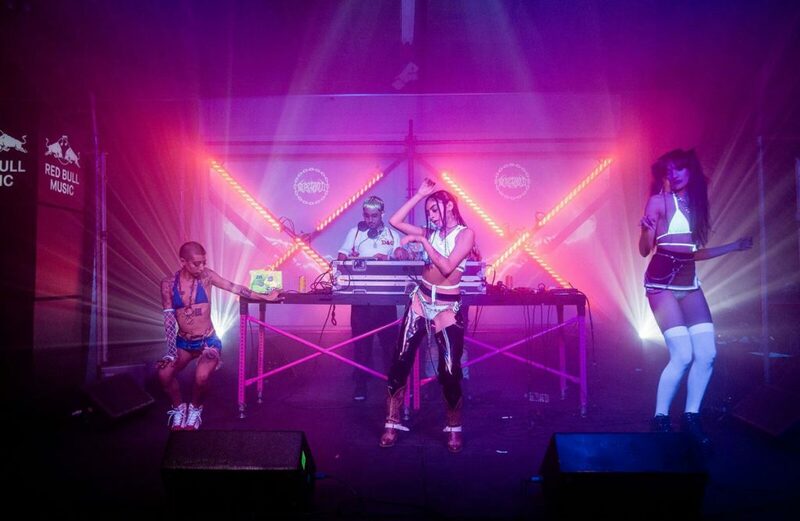 Jive Live Entertainment applies a rigorous standardized process to ensure that every event activation and collaboration brings to life the vision of our clients, imbued our innovative flavor, to create the ultimate consumer experience – on-time and within budget. 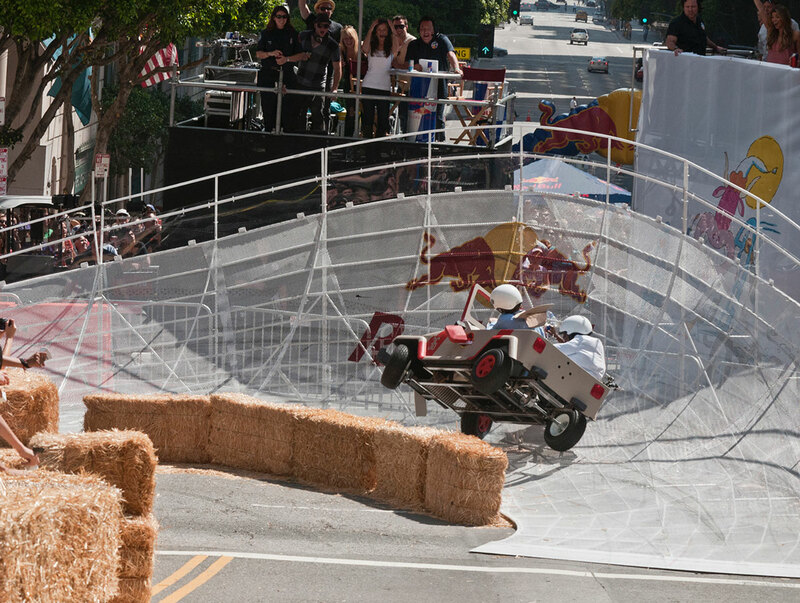 To co-create an homage to human ingenuity and showcase outrageous, human-powered, soapbox dream machines to compete against the clock in a downhill race. 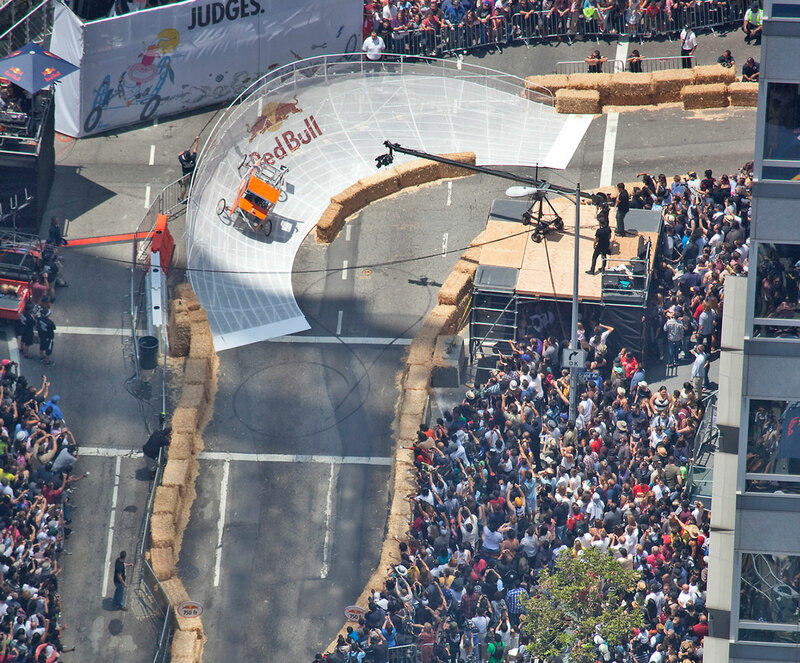 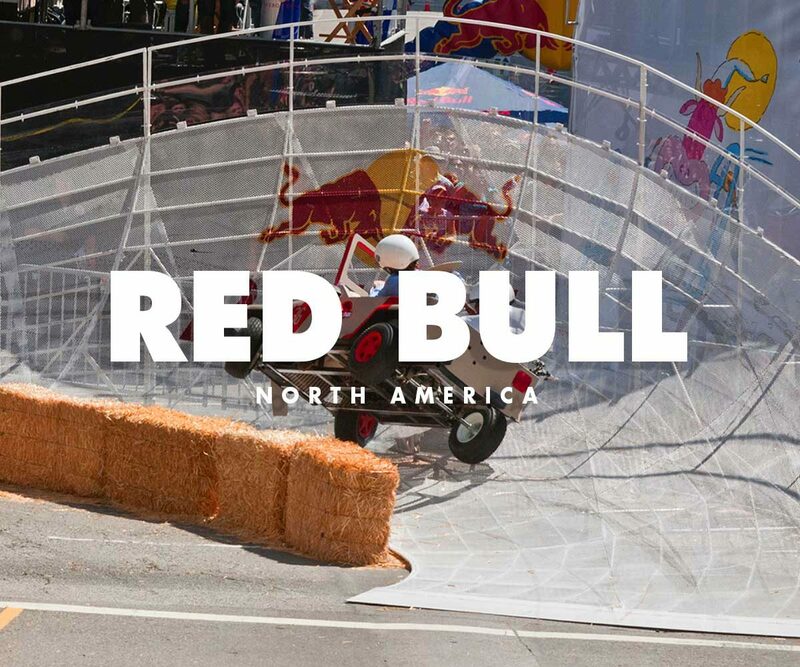 Jive Live Entertainment produced and delivered the Red Bull Soapbox Race – a Los Angeles-branded staple event, that showcases some of the wildest street racing around. 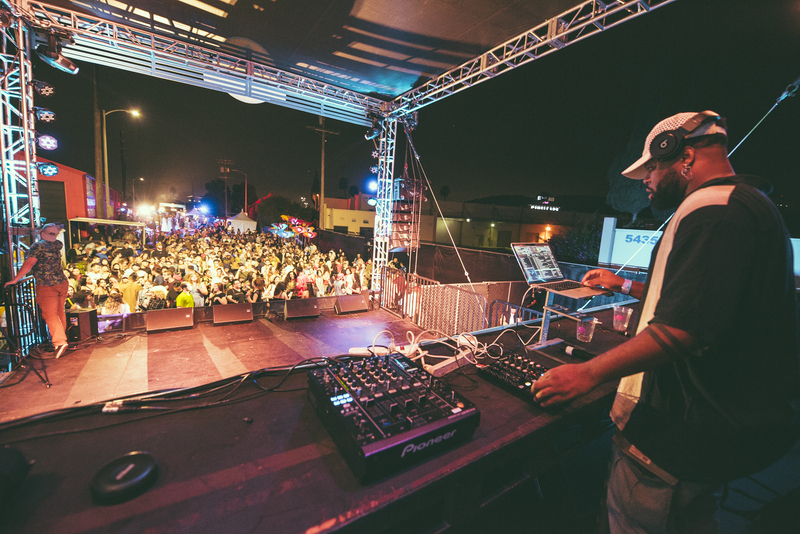 100,000+ spectators, celebrity judges, local talent, top-notch audio/visuals, 20+ restaurant vendors, and thousands of hay bales set the stage for 70 teams to showcase their creations through the twists and turns of Elysian Park. 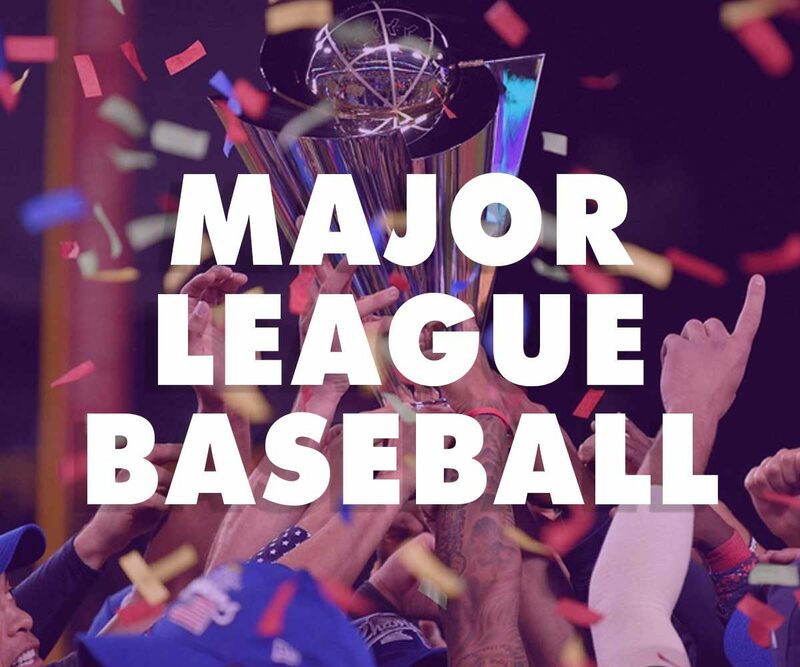 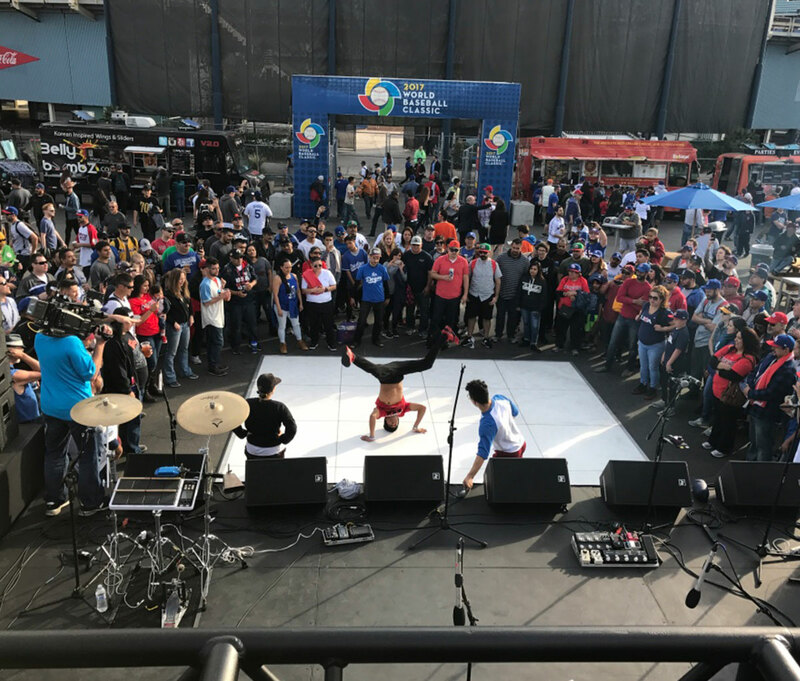 To co-create a three-day, multi-faceted immersive fan experience for the World Baseball Classic championship games, that not only celebrated the spirit of Los Angeles, but also highlighted the sights, sounds, and flavors of the 16 home countries of the participating teams. 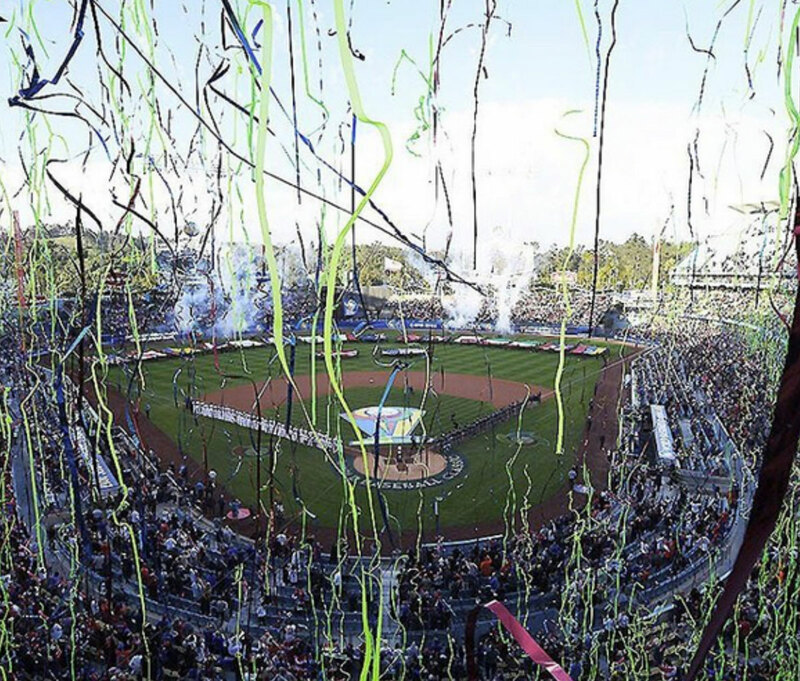 Jive Live Entertainment transformed 75,000+ square feet within the historic Dodger Stadium into a pure celebration of baseball with six entertainment stages, showcasing 20 local bands and cultural performances, unique interactive experiences with 10 visual artist commissions, and a larger-than-life confetti cannon show celebrating team USA’s historic win. 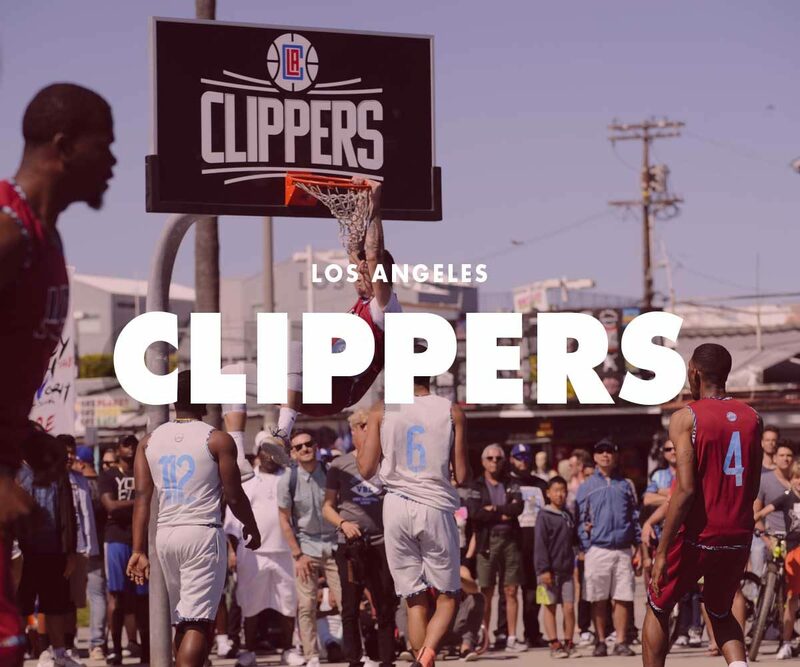 To create a unique and customized public experience to kick off the Los Angeles Clippers 2017 playoff season at the world-famous Venice Beach basketball courts. 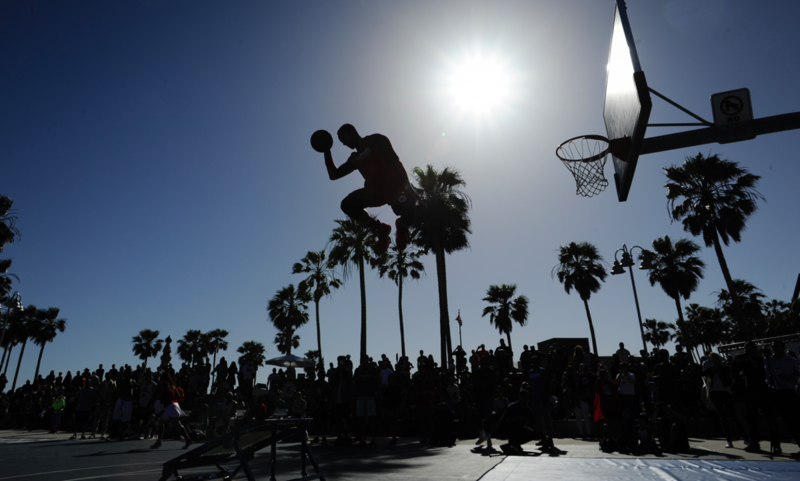 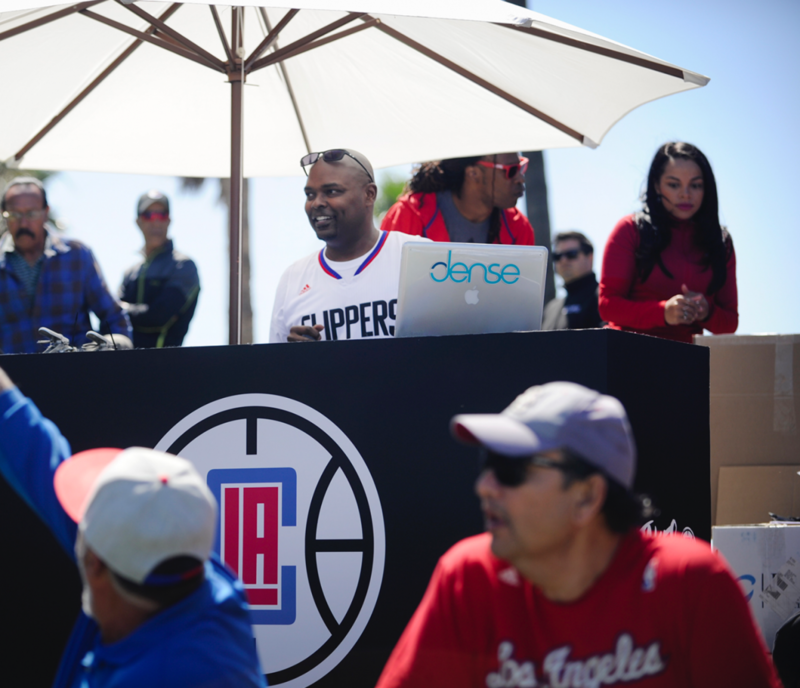 NBA fans enjoyed a seaside public party featuring the Clippers Dunk Team and the sounds of Spencer Ludwig in the Clippers Venice Beach Playoff Party. 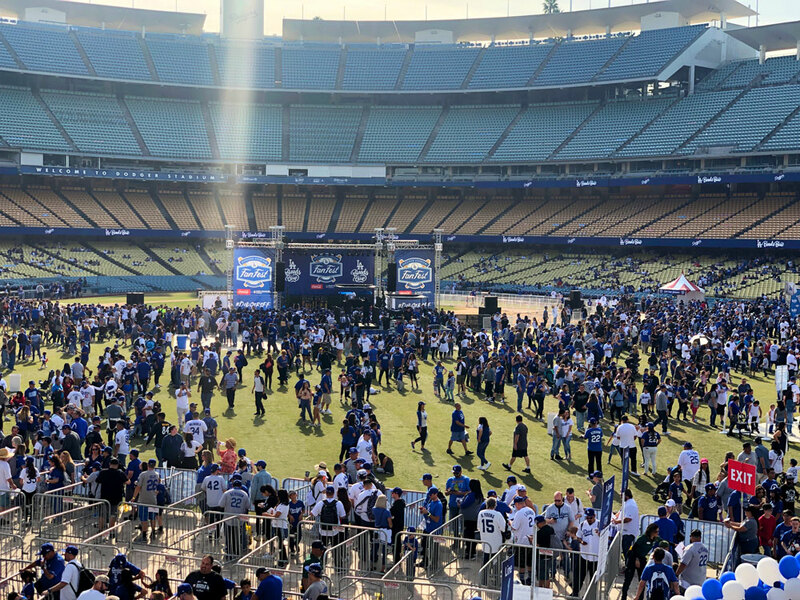 Jive Live Entertainment brought its production prowess – managing and coordinating all artist relations, programming sound checks, and creating a custom event space that gave thousands of fans and beach-goers a public L.A. Clippers kickoff to remember. 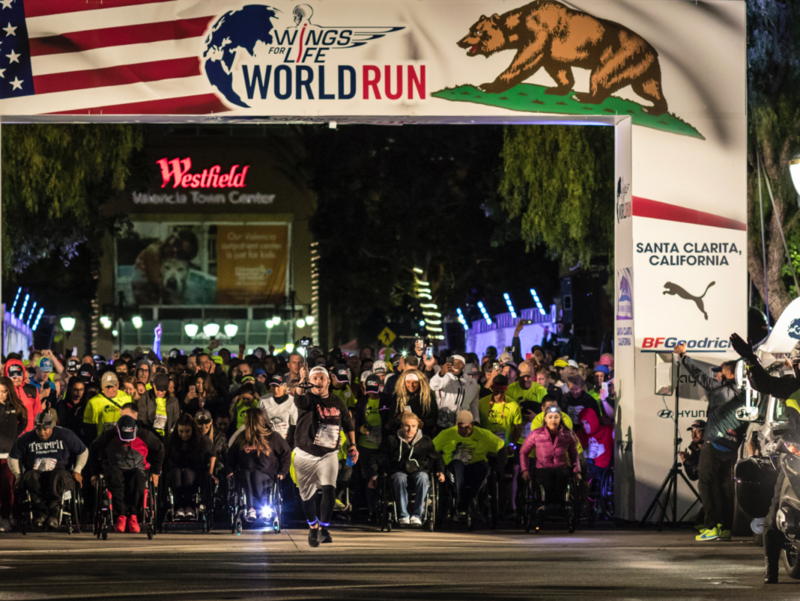 To co-create a World Run that will anchor Southern California in a global phenomenon, supporting spinal cord research and bringing together 280,000 people across 193 nationalities. 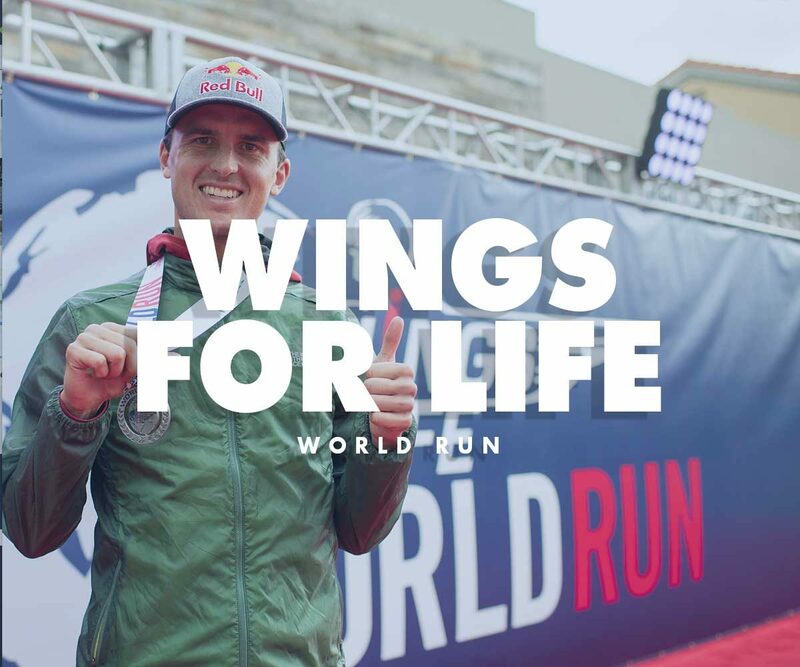 All participants step off simultaneously at 11:00 a.m. UTC (4:00 a.m. in California), regardless of where they are in the world, or where they’re from, to create the Wings For Life World Run. 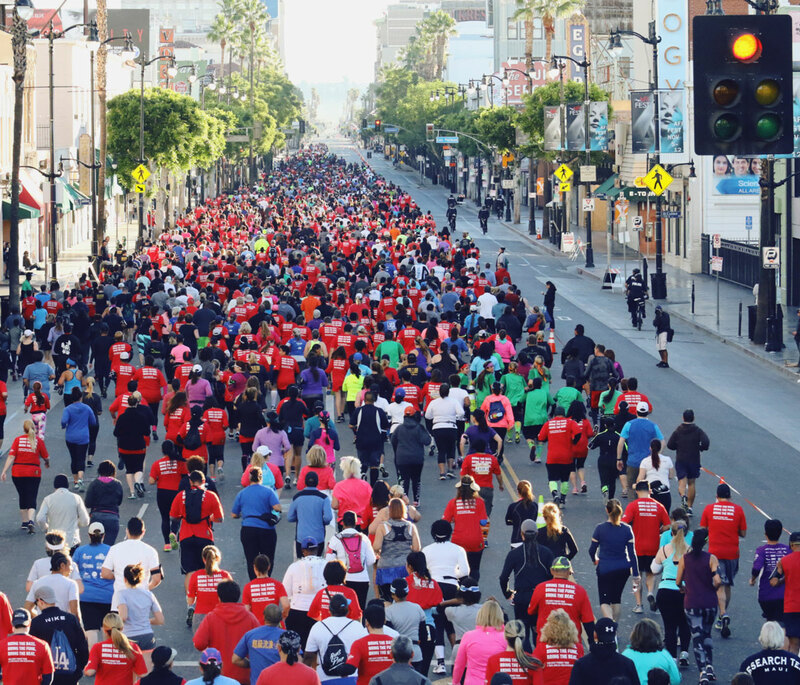 Jive Live Entertainment produced, promoted and delivered a safe and secure run, drawing 3,000 registered runners, from the recreational participant to the most elite of athletes. 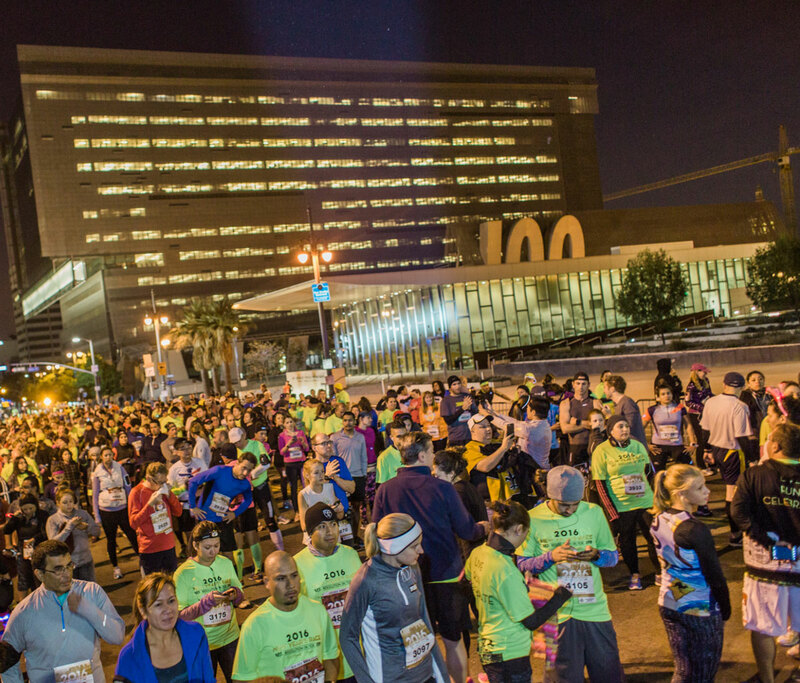 Under Jive Live Entertainment’s expertise, runners enjoyed one of the most unique running events ever, running until they were passed by the pace car. 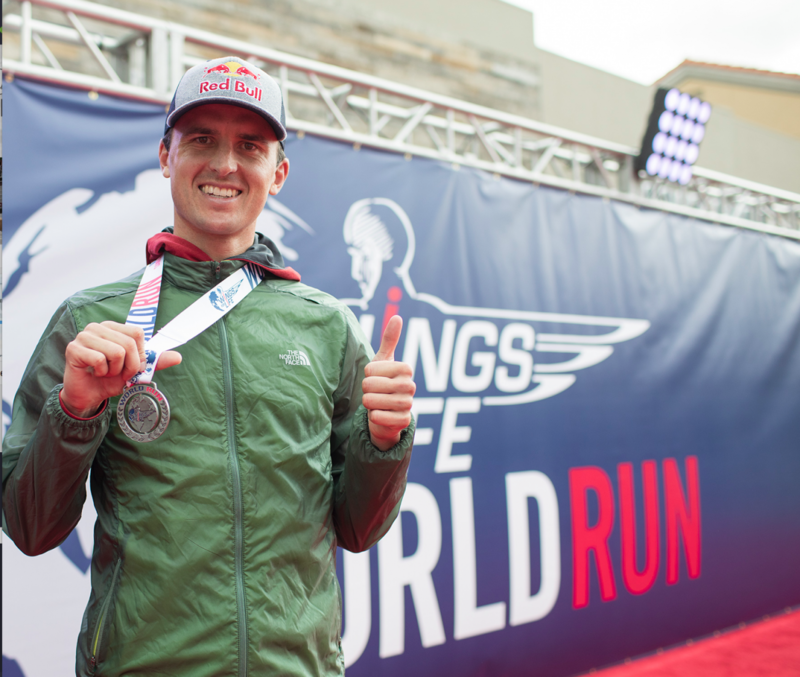 The winning female ran a total of __ miles, and the winning male ran an astonishing ___ miles, non-stop. 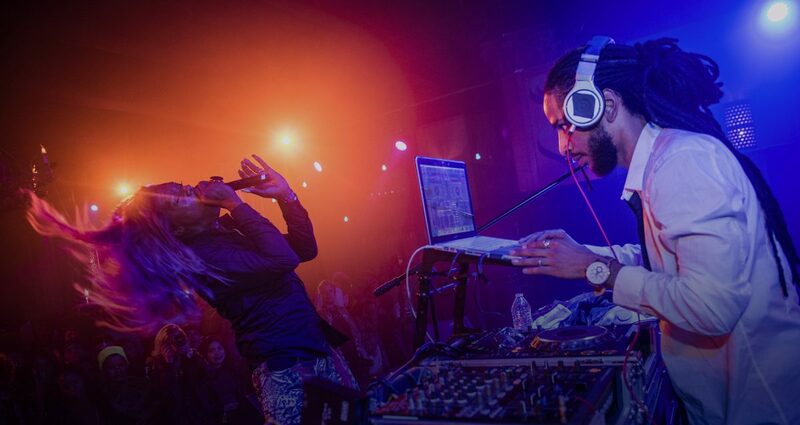 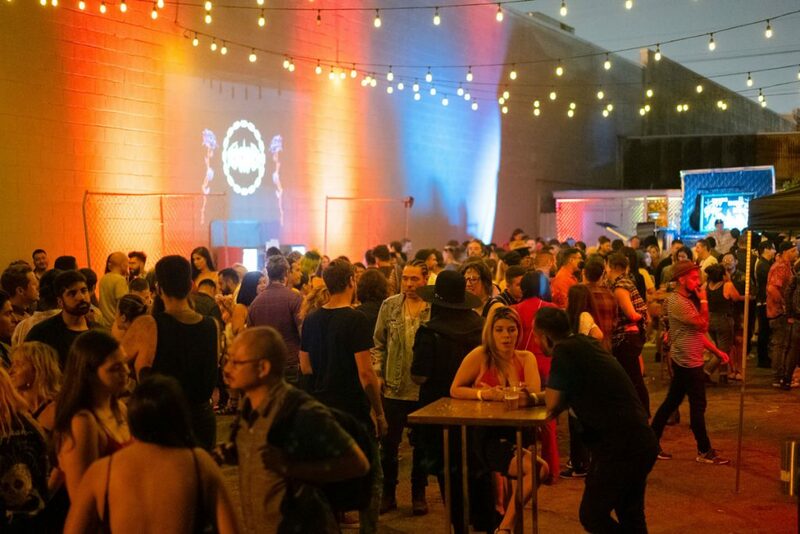 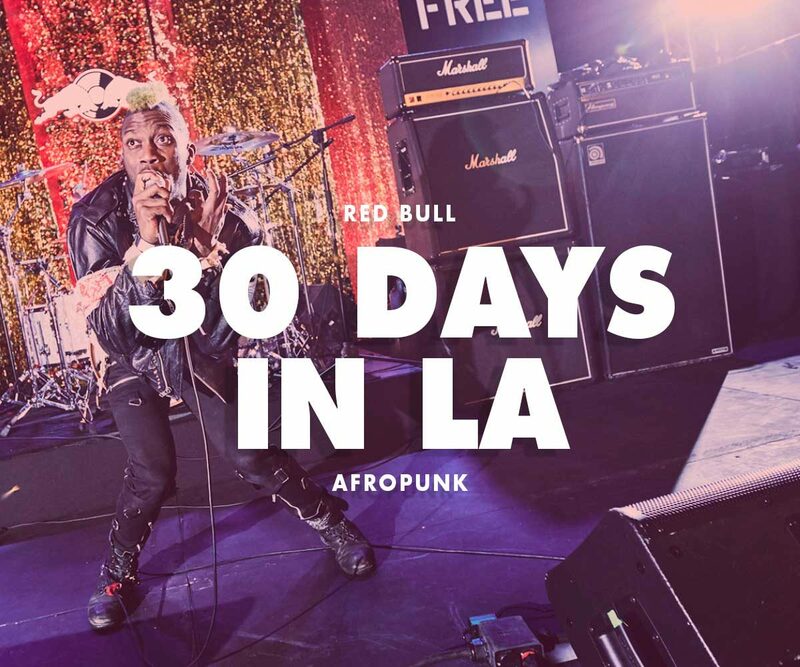 To co-create a multi-stage, multi-sensorial experience by bringing to life the inaugural West Coast AFROPUNK Fancy Dress Ball, headlined by Big Freedia, at the legendary The MacArthur Hotel, as part of Red Bull Sound Select’s 30 Days in L.A. 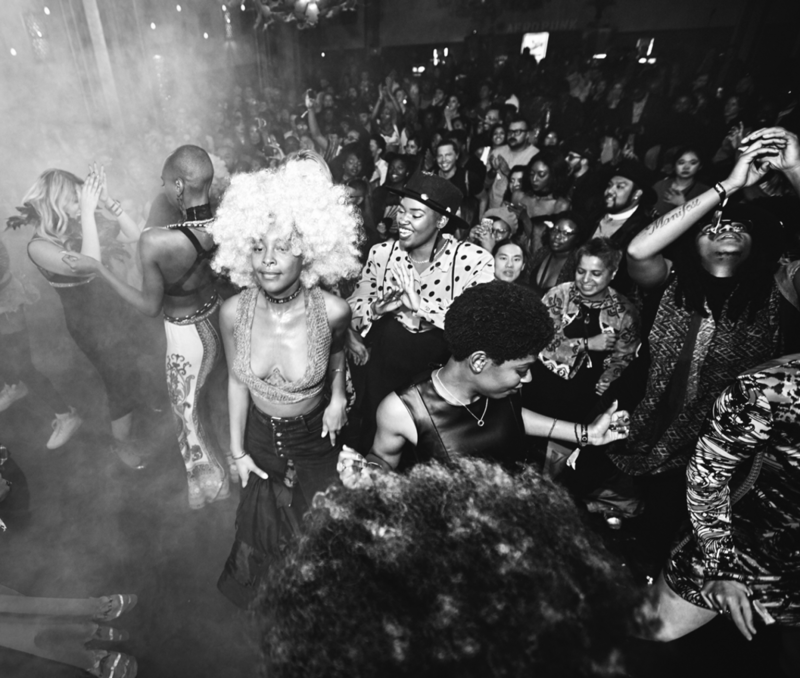 The opulent Gothic-revival styled The MacArthur hotel became an AFROPUNK playground, where concert-goers roamed between two music rooms, multiple bars, patios and grand staircases in a cool strut only Angelenos can pull off. 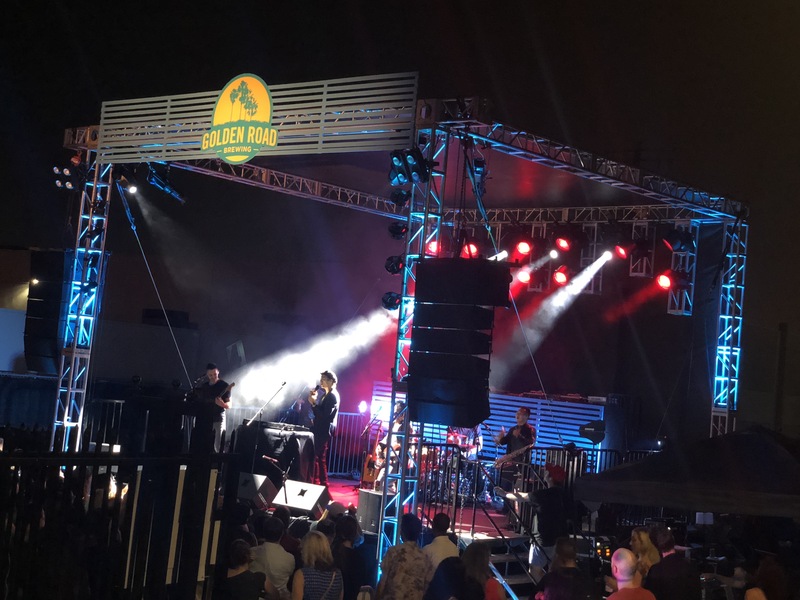 Jive Live Entertainment produced a seamless experience in all areas of production – from multiple stage builds, sound checks, run-of-show, backstage elements, and talent relations for this exclusive sold-out experience. 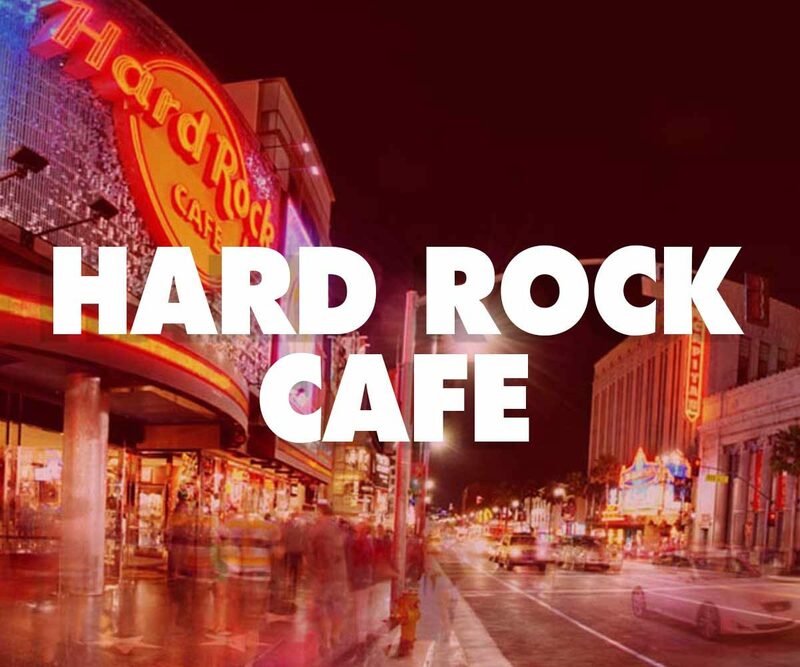 To co-create a group run in the entertainment capitol of the world bringing together world-renowned restaurant chain Hard Rock Café Hollywood and local non-profit organizations, to address youth homelessness and hunger. 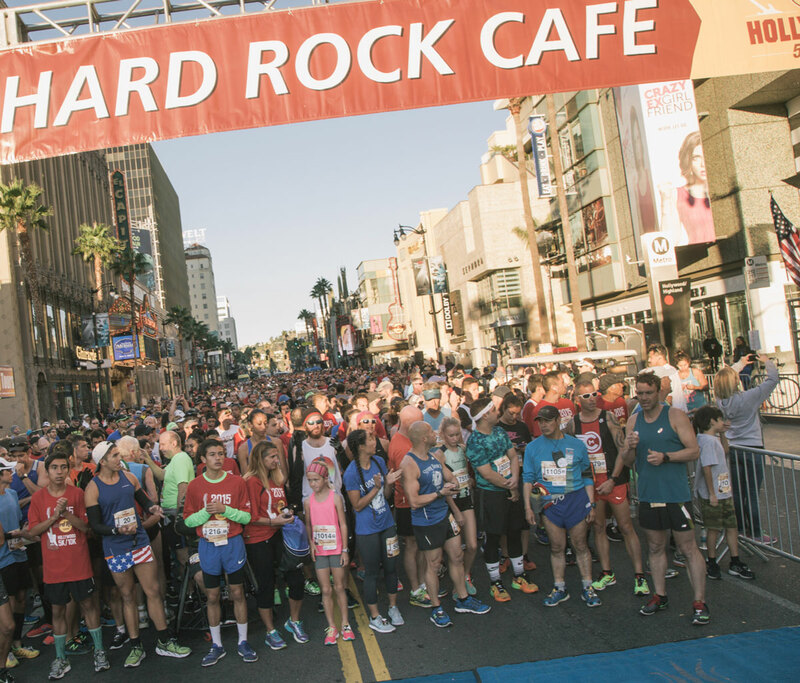 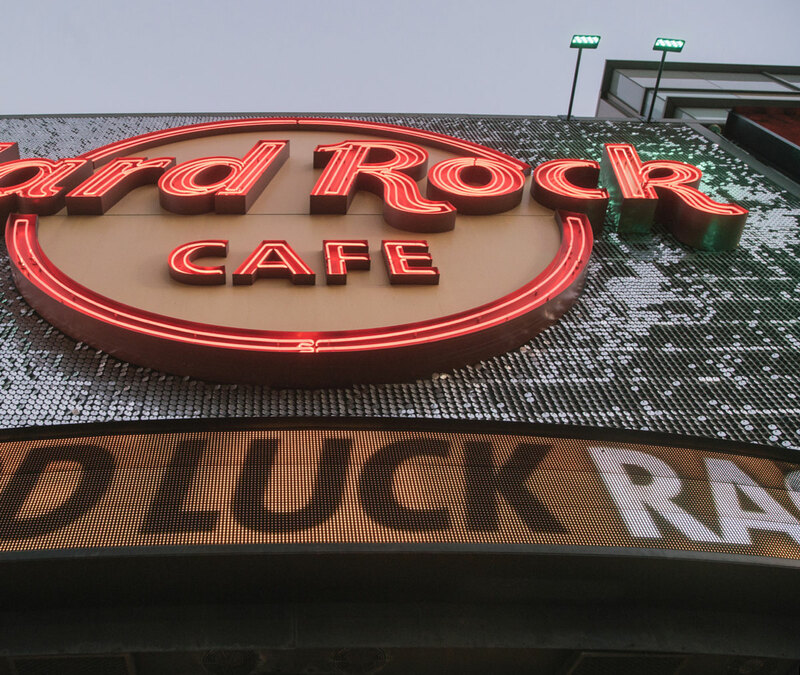 “Imagine There’s No Hunger” became the rallying cry for thousands of runners participating in the Rockin’ Hard Rock Café 5k Race in Hollywood, CA. 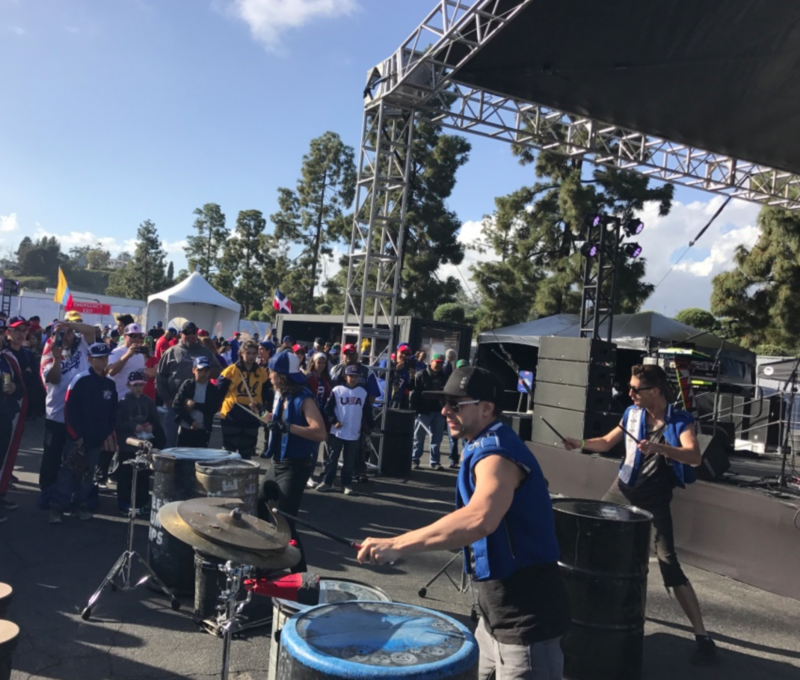 Jive Live Entertainment provided a memorable cause-related experience for runners from start to finish. 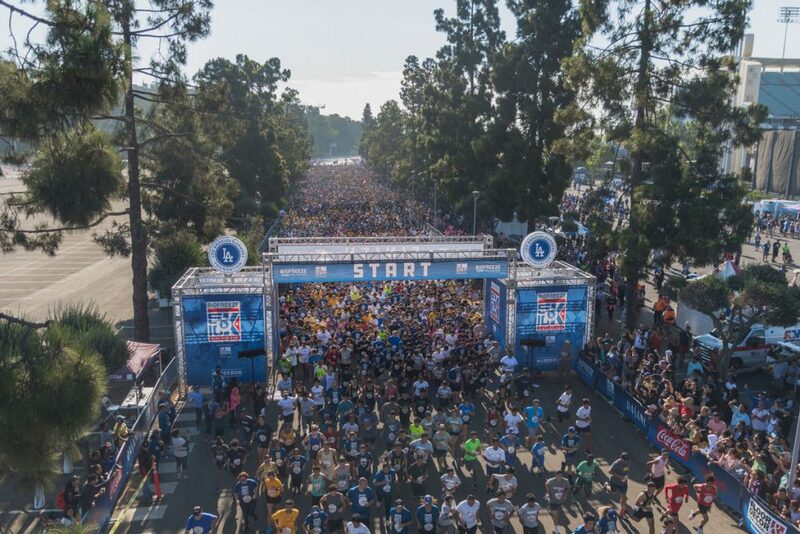 Stretching from the three-mile closure of iconic Hollywood Boulevard, home to the world’s most iconic entertainment venues – including the TCL Chinese, El Capitan and Dolby Theatre’s – to the post-run party at the famous Hard Rock Café Hollywood, with a finish line celebration, including amazing culinary creations, craft beer, and live entertainment. 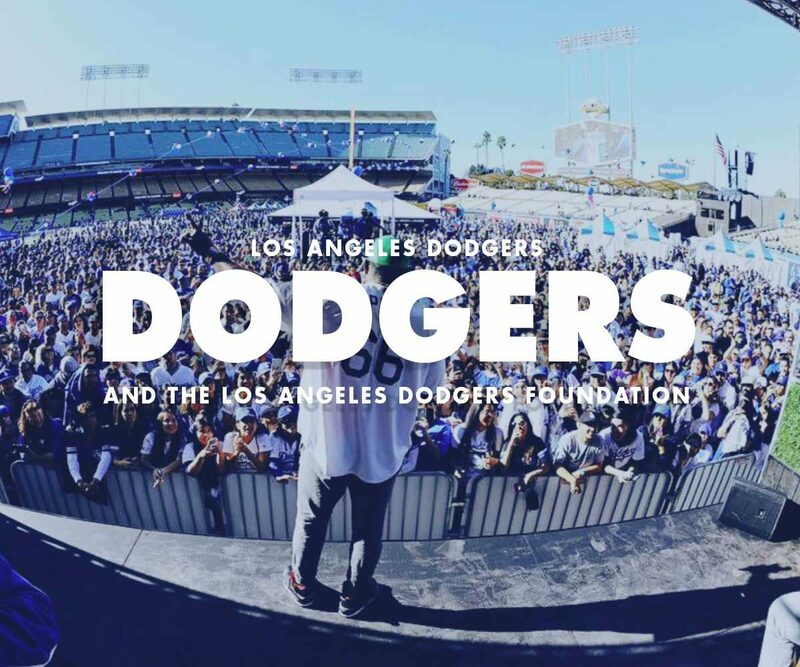 To ignite the true blue spirit of Los Angeles with the Los Angeles Dodgers and its official charity the Los Angeles Dodgers Foundation. 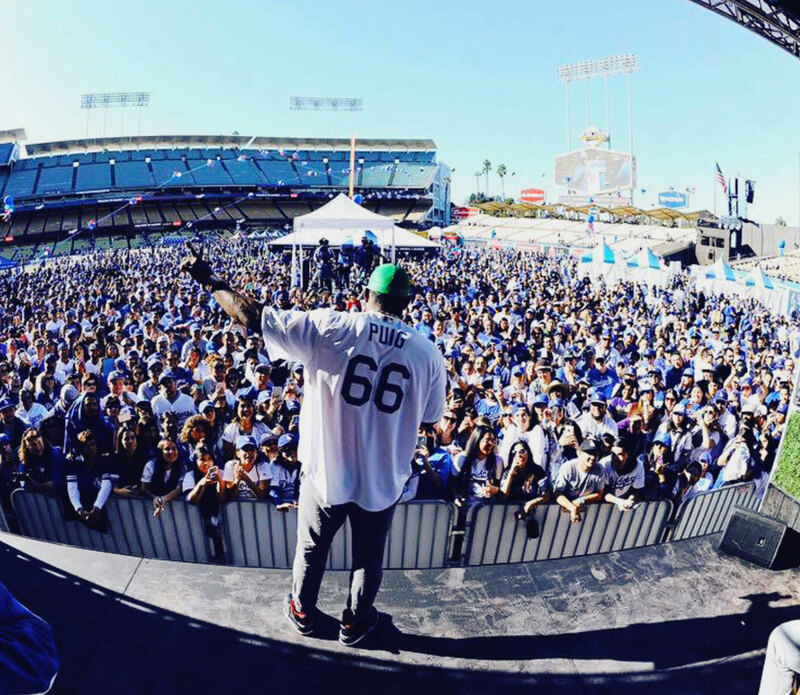 Jive Live Entertainment created a variety of live experiences at the historic Dodger Stadium, from Viva Los Dodgers and Dodger Stadium Fanfest, pre-game activations with many stages, food and brand activations that rally 25,000 fans, to LA Dodgers 5k/10k charity runs that bring together 11,000 passionate participants, to specialty events in some of the stadium’s most exclusive spaces, including the Lexus Dugout Club, the Bullpen, and the Stadium Club. 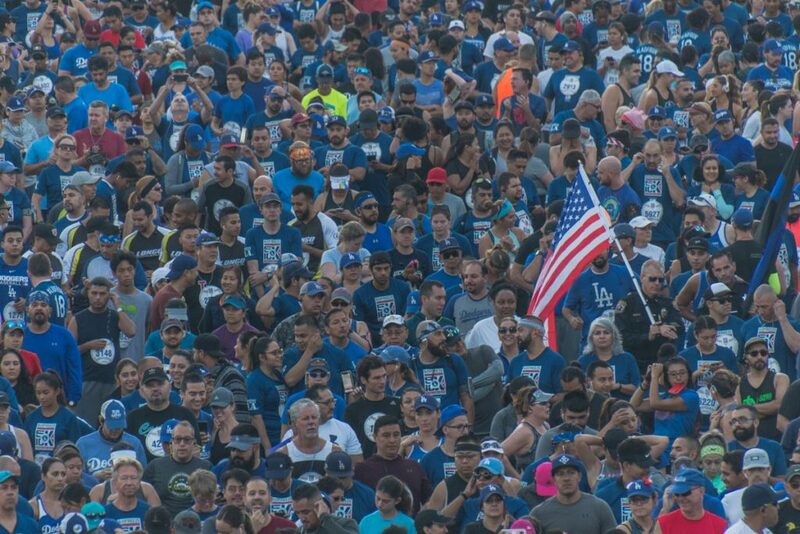 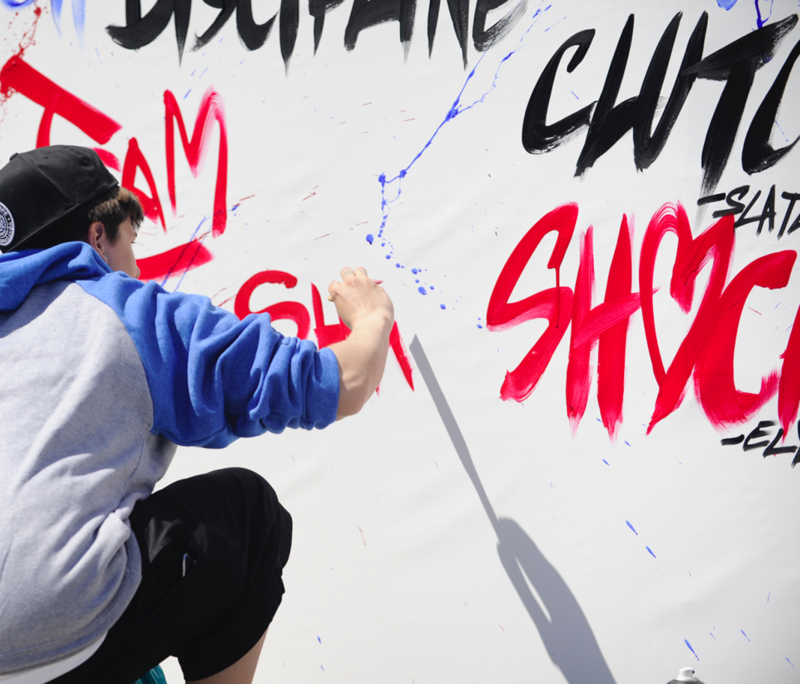 These co-creations have provided high-quality and memorable experiences that have fans and supporters returning season after season rooting for their favorite Blue Crew. 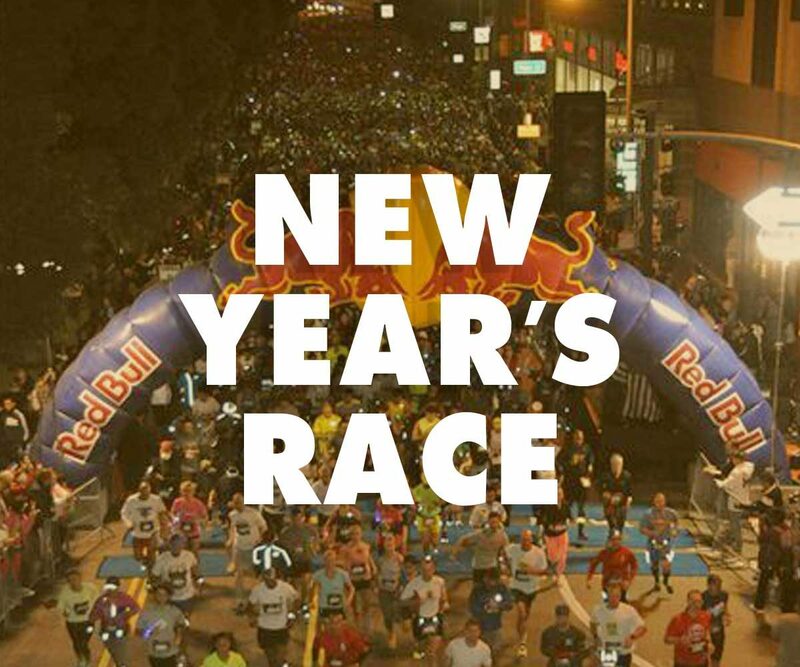 To create an experience where thousands of Angelenos come together to sweat and celebrate the New Year by running together through the streets of Downtown Los Angeles – at Night. 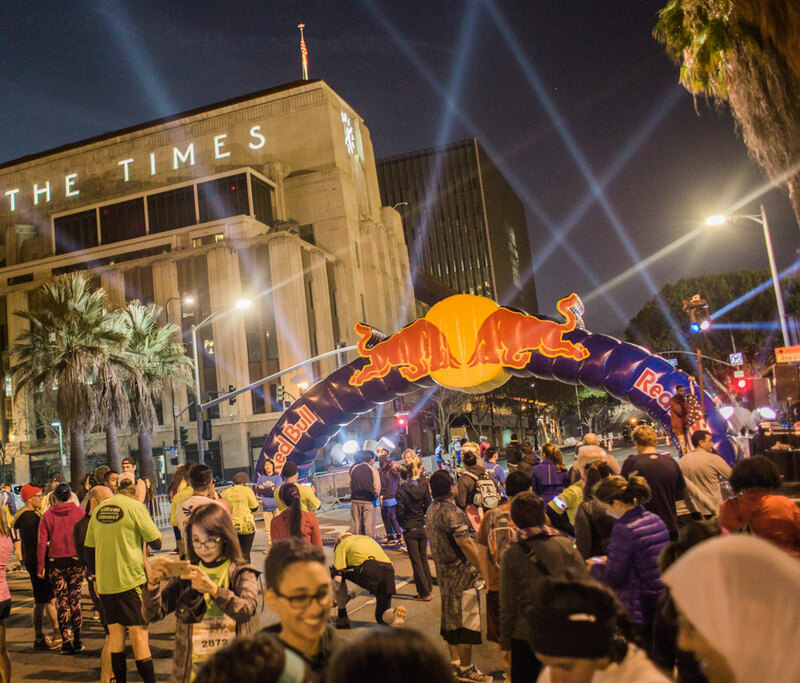 Launched in 2013, Jive Live Entertainment produced the first-ever night run through the streets of downtown Los Angeles, looping from the iconic City Hall building and ending in Grand Park. 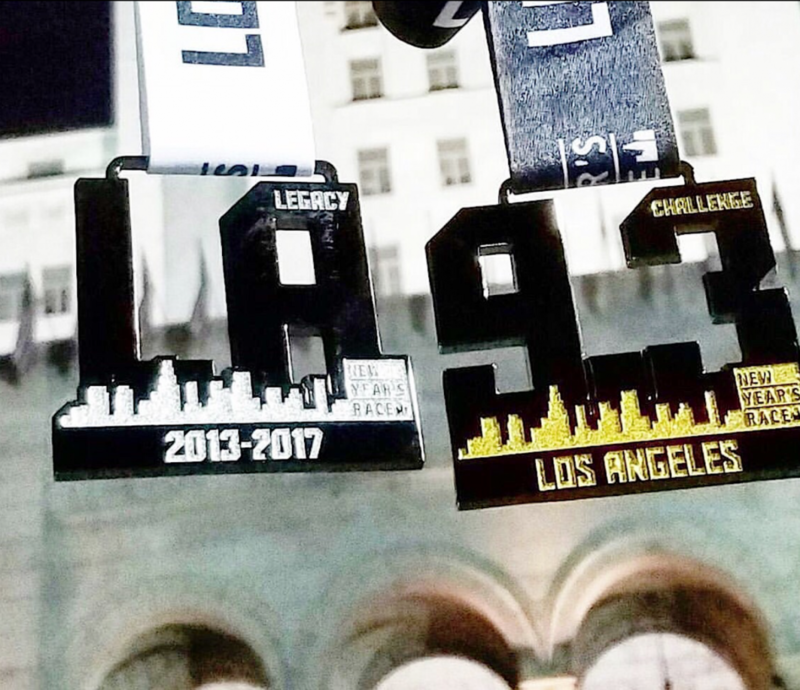 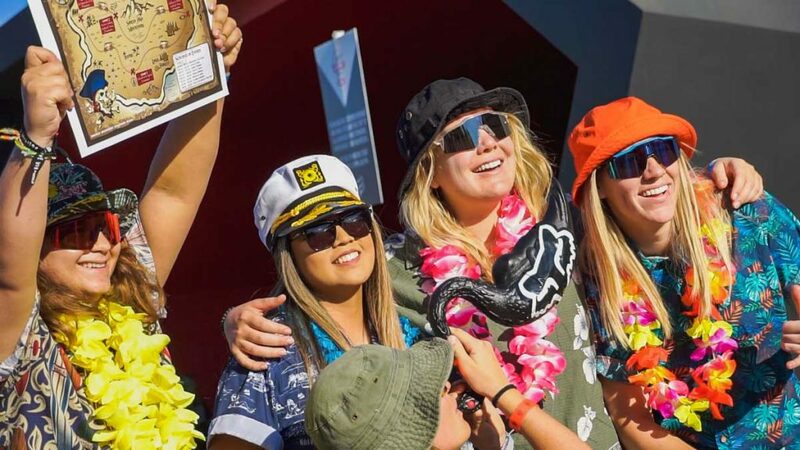 More than 3,000 runners enjoyed live entertainment along the way, and celebrated new beginnings with a finish line party complete with DJs, branded sponsor activations and a beer garden. 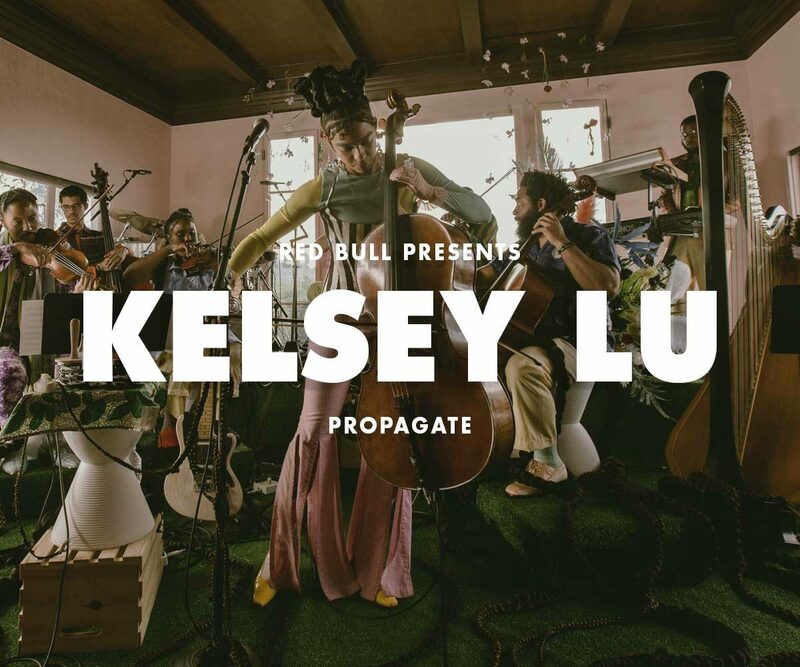 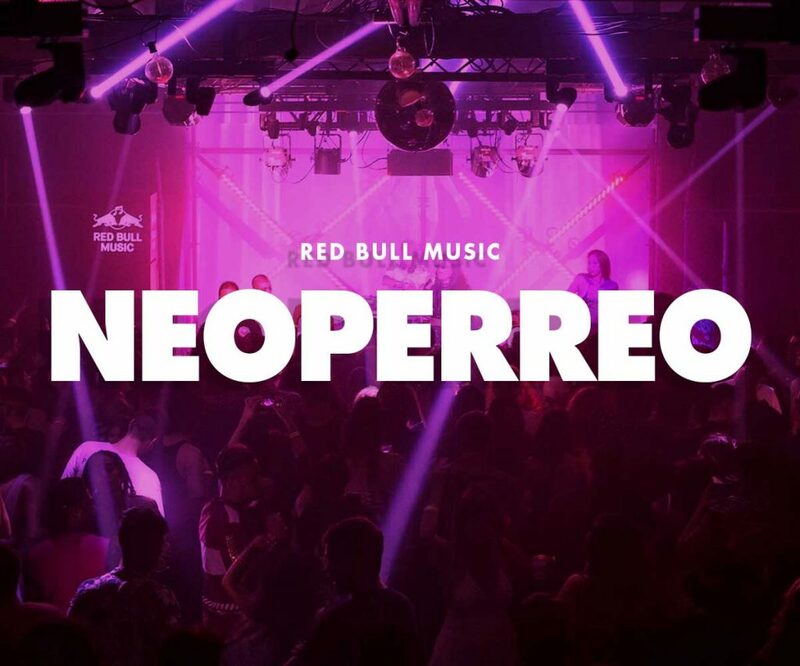 Kelsey Lu, in conjunction with Red Bull Music, put on an intimate, one-night-only event for her closest friends, family, and fans in Los Angeles. 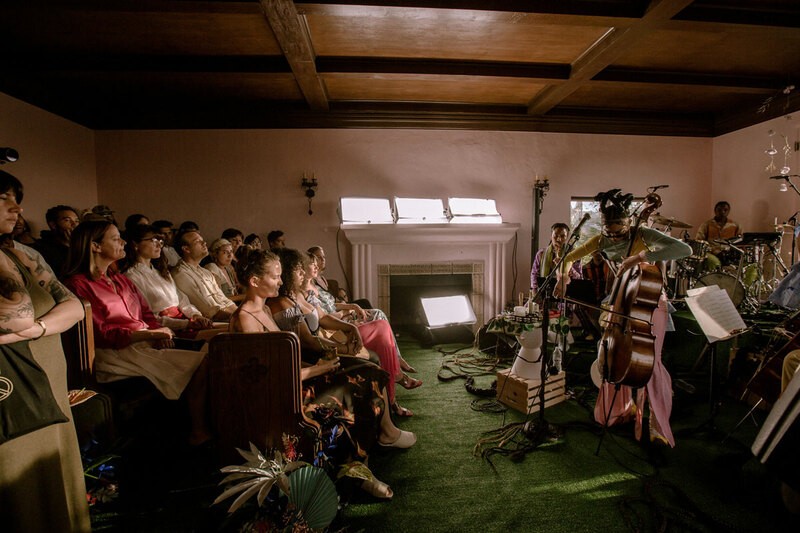 It was the first ever live performance of her long-awaited debut album. 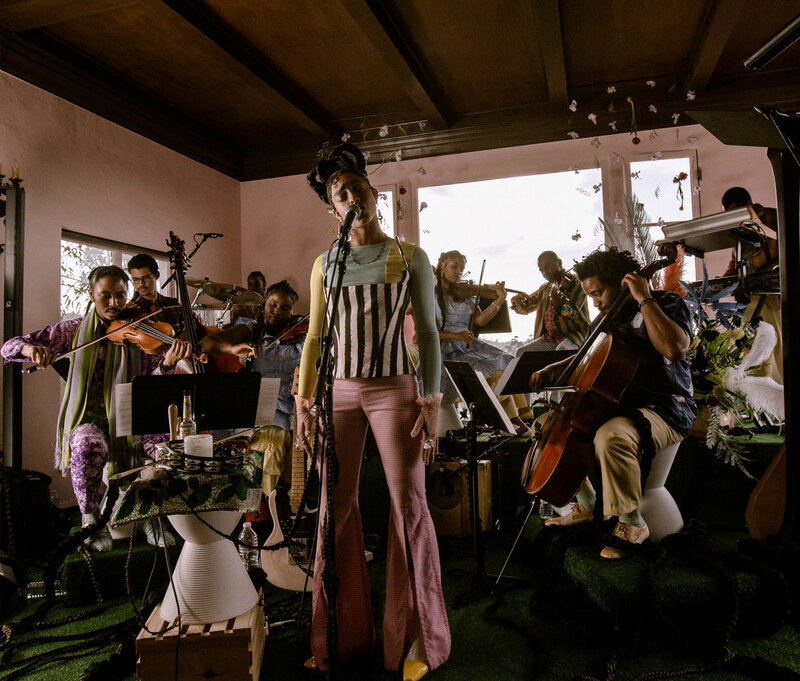 The venue was an architecturally-relevant house by Paul Williams and the performance was arranged and performed by a small chamber orchestra, with musicians from all over the United States. 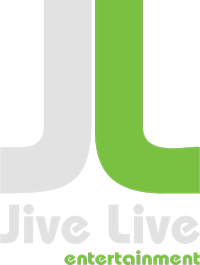 A historic home in the heart of Beachwood, CA, inspired creative design by Kelsey Lu, and Jive Live transformed the entire house to reflect her love for family and friends, through vibrant colors, design and energy. 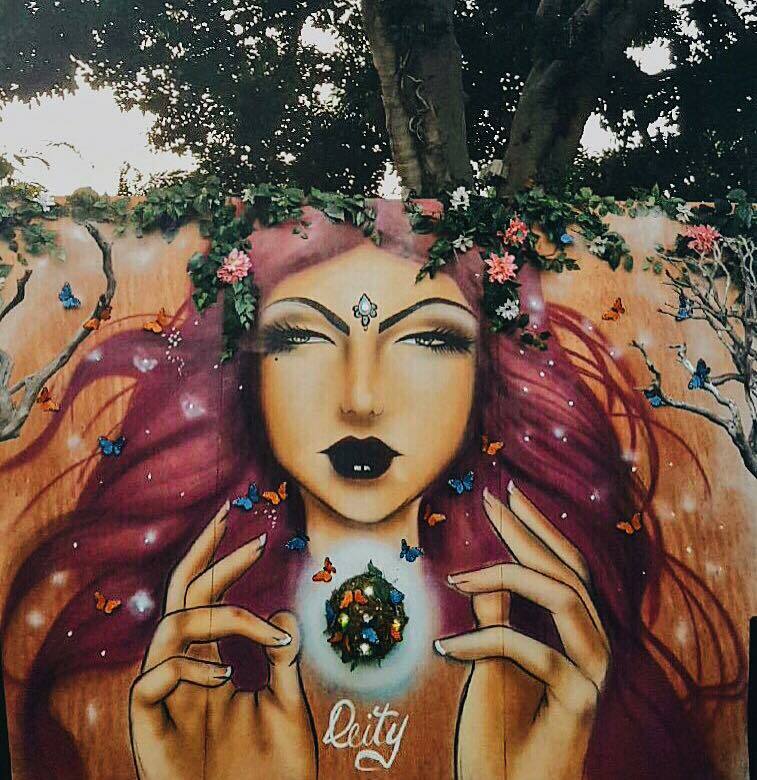 Every item was curated, hand-picked and displayed to reflect the vibe and energy she created. 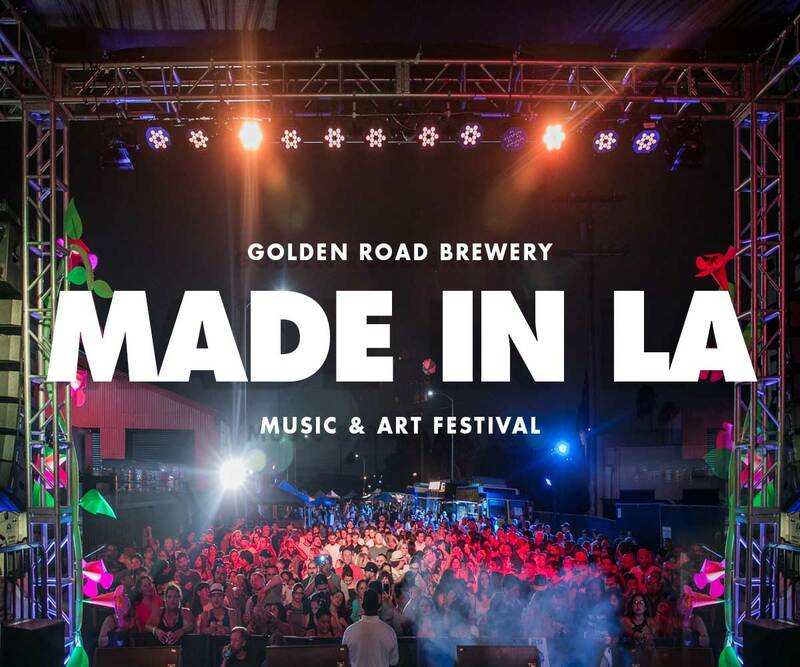 An L.A. institution since 2011, Golden Road Brewing wanted to celebrate and unite Angelenos through their love of great beer, amazing music and inspiring art. 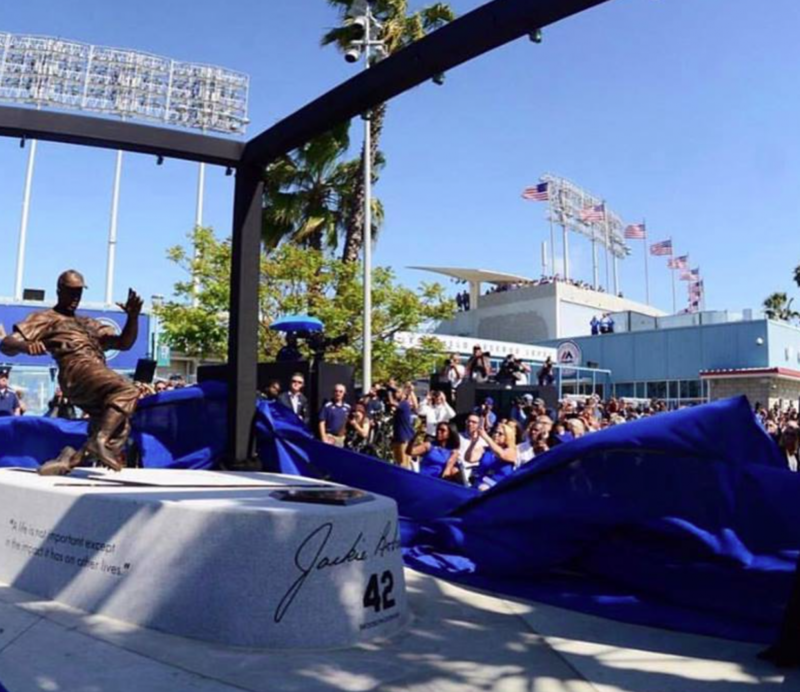 They turned to Jive Live Entertainment to bring this vision to reality. 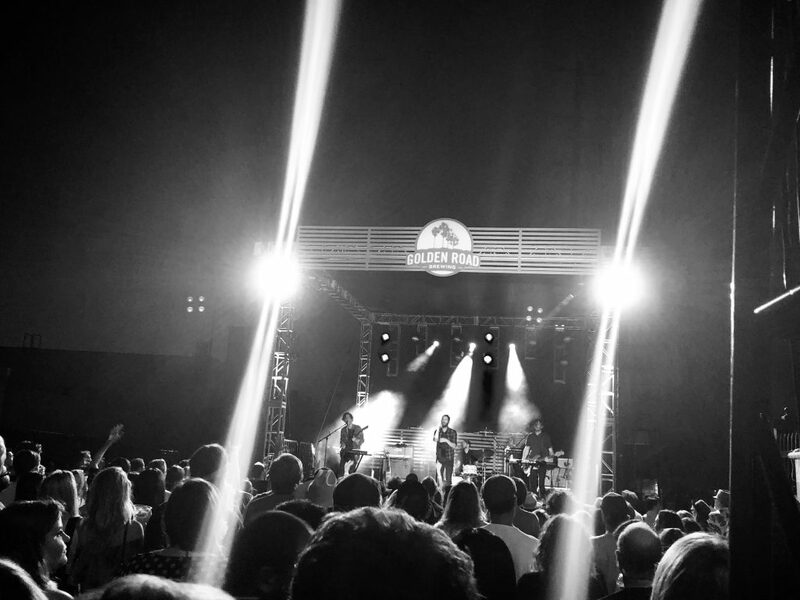 4500+ attendees enjoyed the very best Golden Road brews, live art installations and cross-cultural music from Saint Motel, Dorothy, Mondo Cozmo, Dam Funk B2B J Rocc, Duckwrth, Andre Power, Buyepongo, and Transviolet. 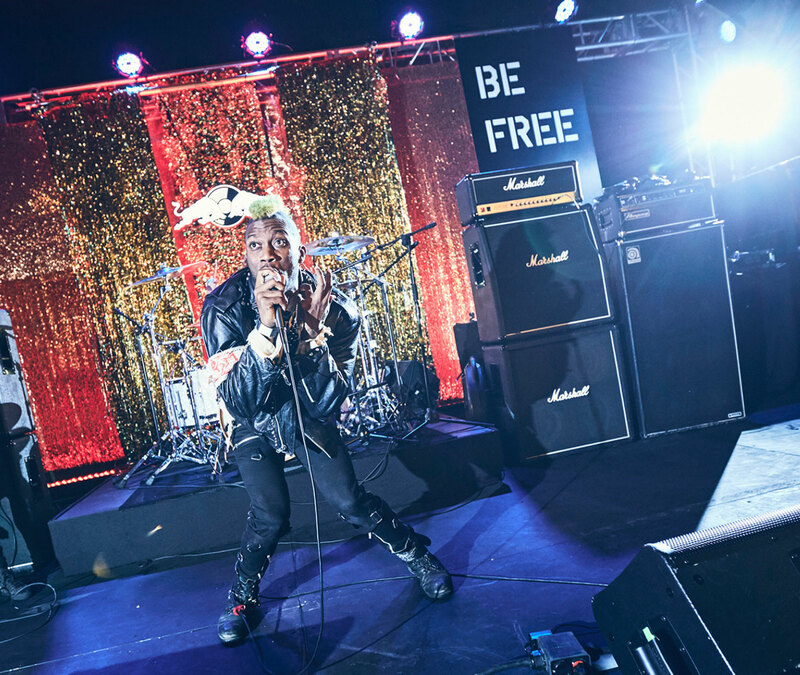 In addition to staging a truly L.A. immersive consumer experience with 46 Media Placements, 16.6 Million Media Impressions, the event raised $18,000, for our official charity partner Art Share LA. 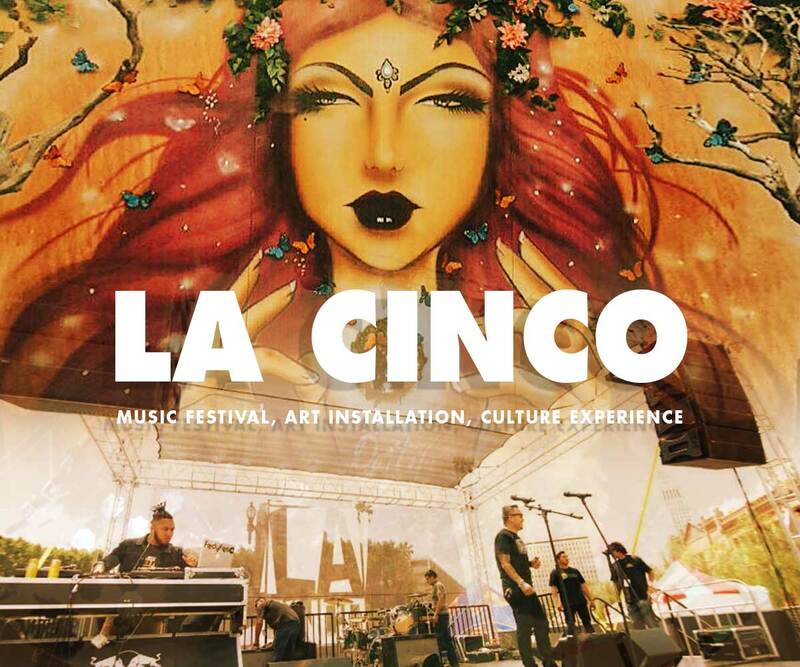 Cinco de Mayo, celebrated annually on May 5, celebrates the true story of how an outnumbered Mexican Army defeated the French Empire at the Battle of Puebla, on May 5, 1862. 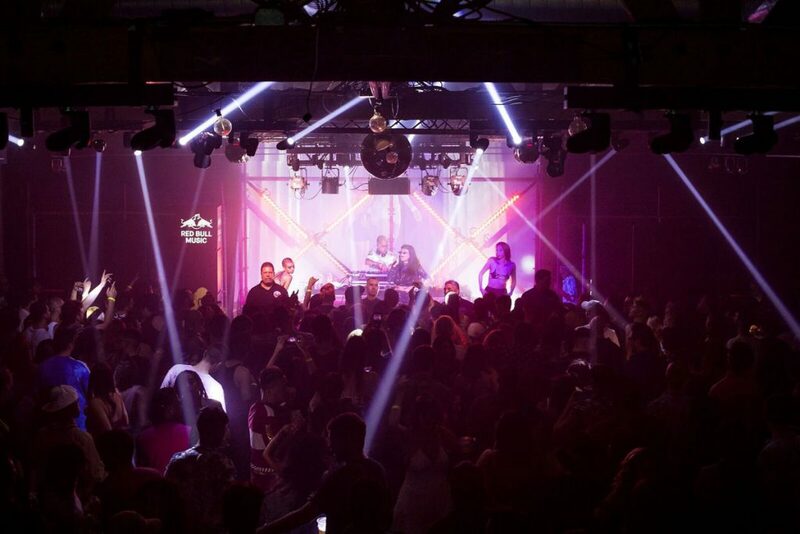 With LA Cinco, Jive Live Entertainment decided to create their own unique, modern day, all-inclusive twist on the typical festival. 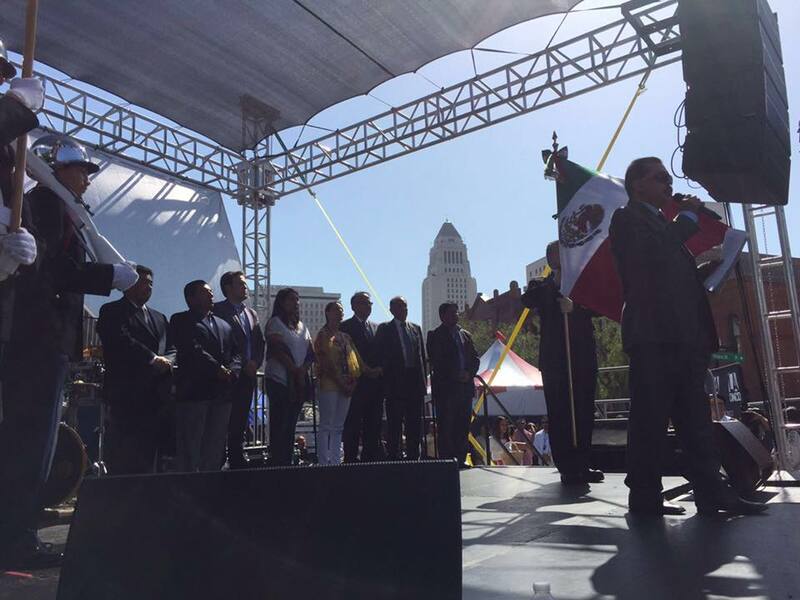 Held at Olvera Street, the birthplace of Los Angeles, LA Cinco sought to bridge the gap between the past and present. 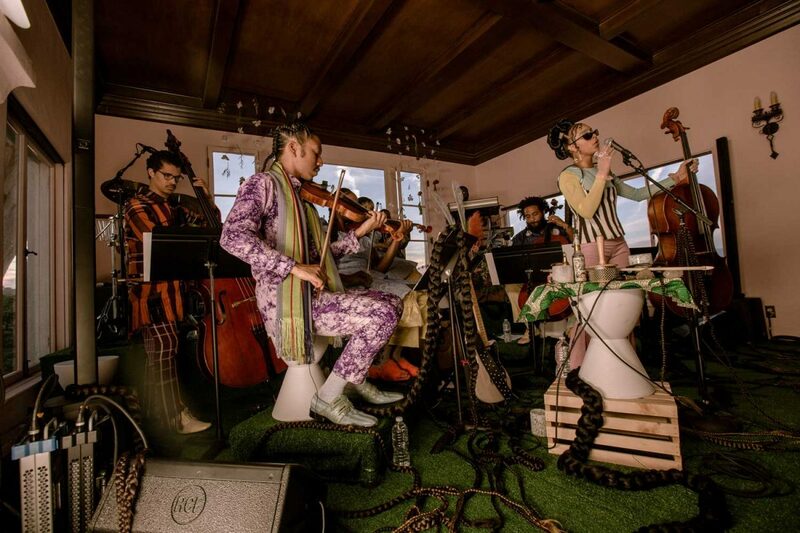 Live art, tantalizing food, live music, dance, and authentic culture, came together for another uniquely L.A. experience. 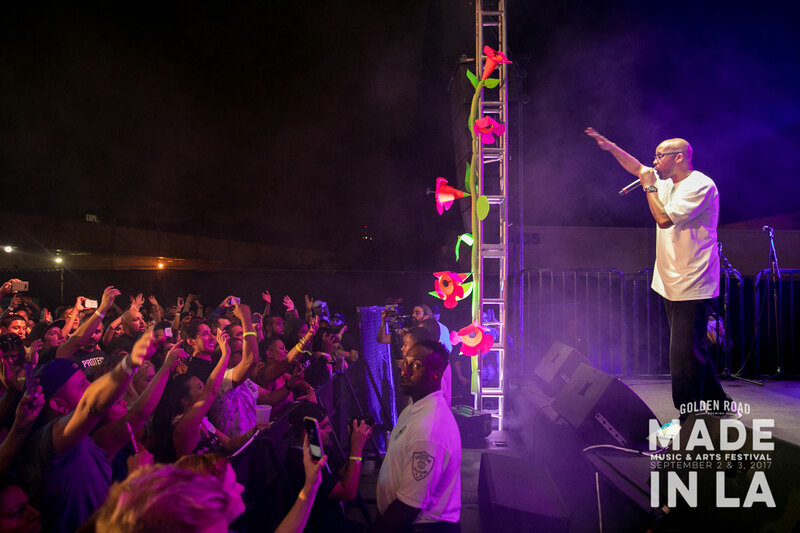 With curated live music highlighting multi-generational genres, there was something for everyone to enjoy – from the progressive hipsters to the traditional abuelos. 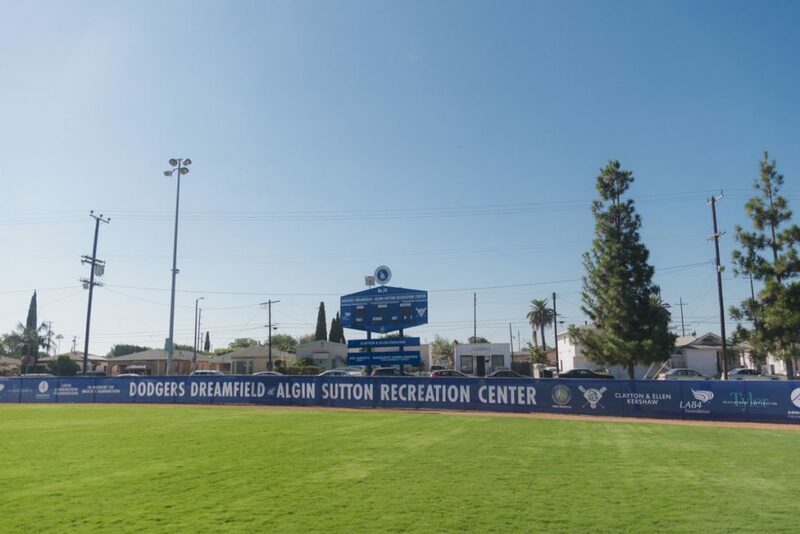 The Dodgers Dreamfield at Algin Sutton Recreation Center marks the final leg of a commitment to build or refurbish 50 fields in 15 years. 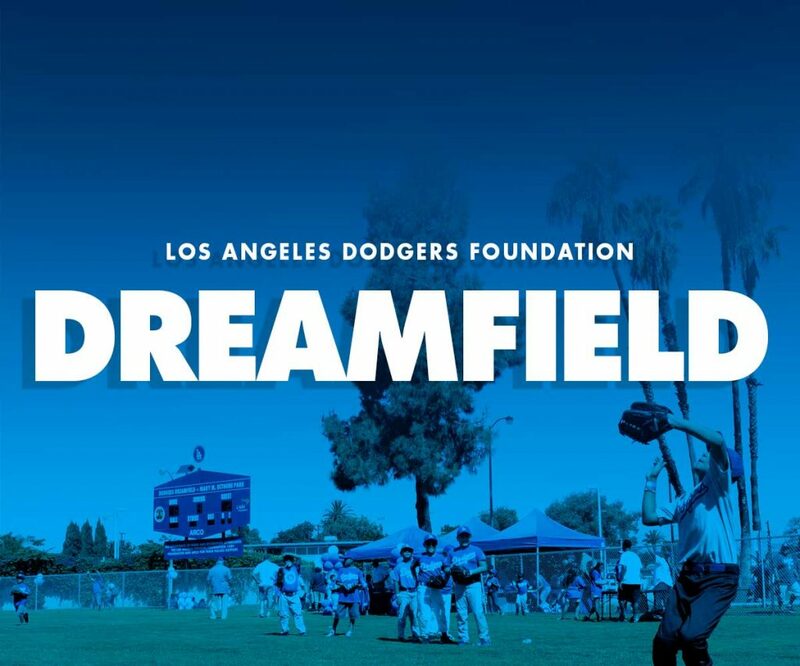 Since 2003, over $10 million has been invested in these fields, which have impacted the lives of thousands of youth in and around Los Angeles. 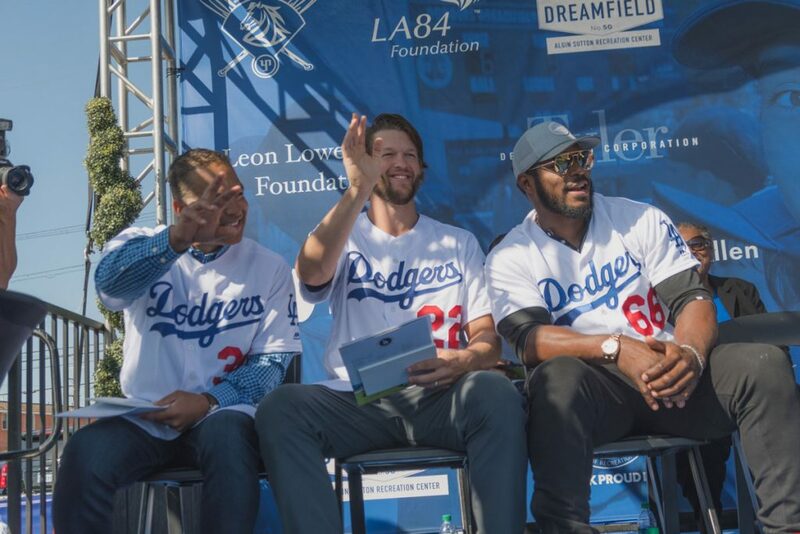 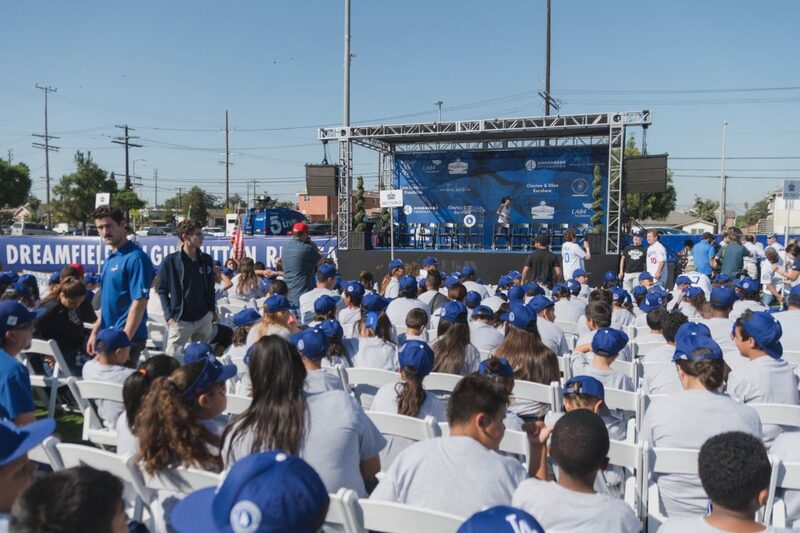 On September 22, 2018, Jive Live Entertainment partnered with the Los Angeles Dodgers Foundation to bring their vision to life. 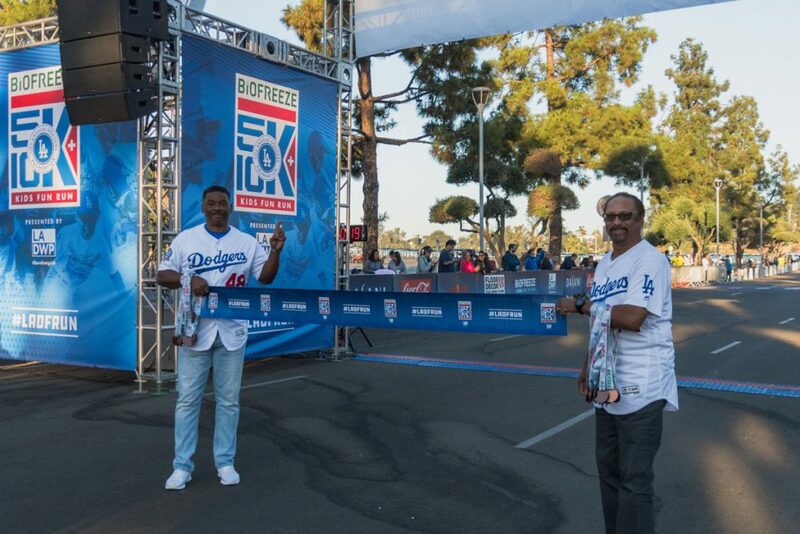 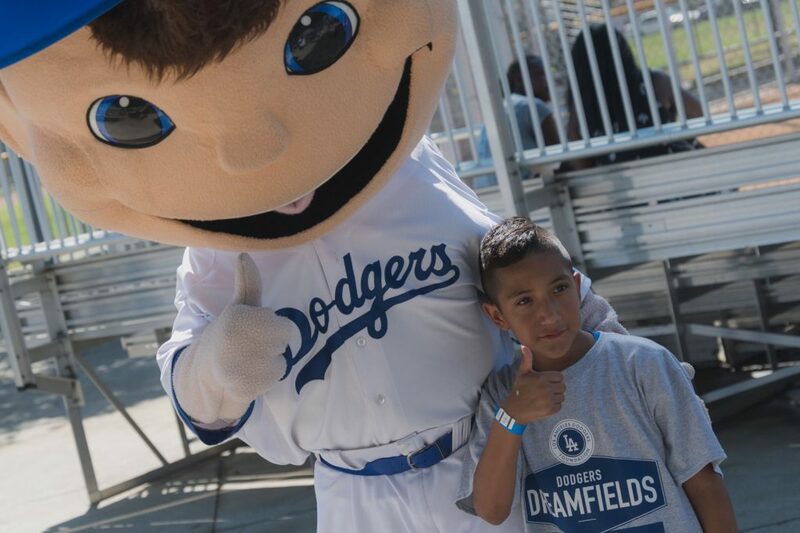 SOLD OUT 5th annual Biofreeze Los Angeles Dodgers Foundation 5K & 10K and Kids Fun Run Presented by LADWP with 11,000 runners! 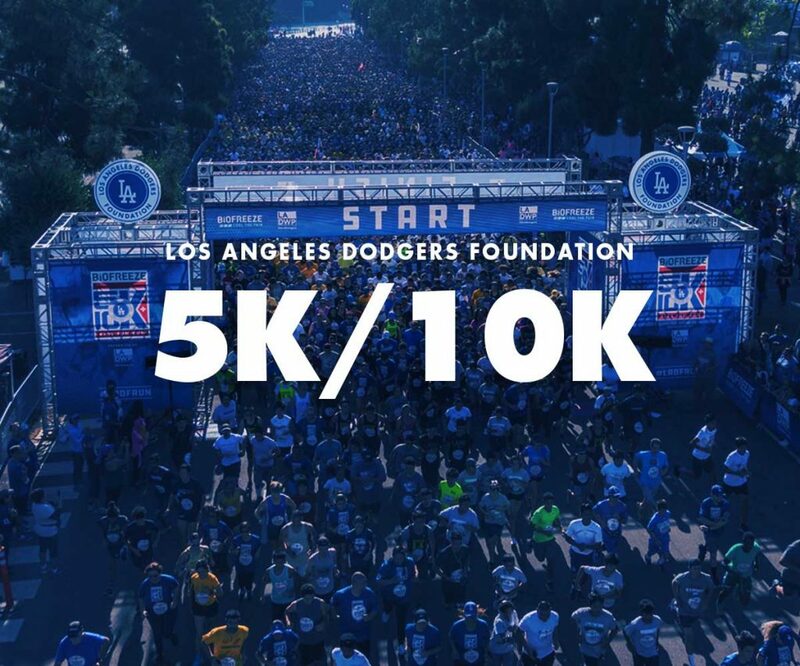 Complete with amazing views of Dodger Stadium and Downtown Los Angeles, a scenic run through Elysian Park for our 10K runners, cool-down run around the Dodger Stadium warning track and guest appearances by Dodger Legends! 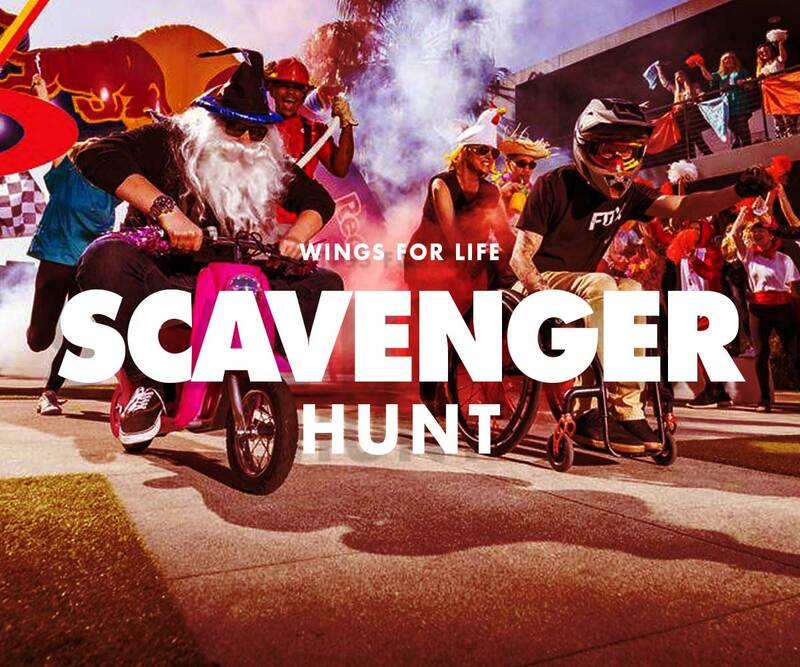 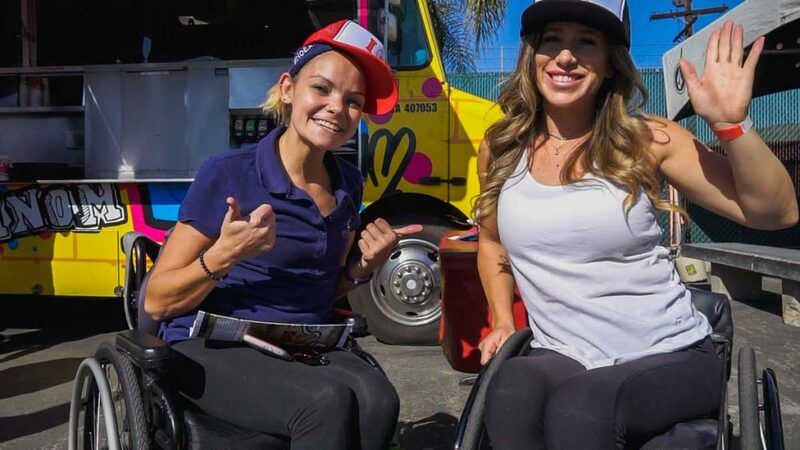 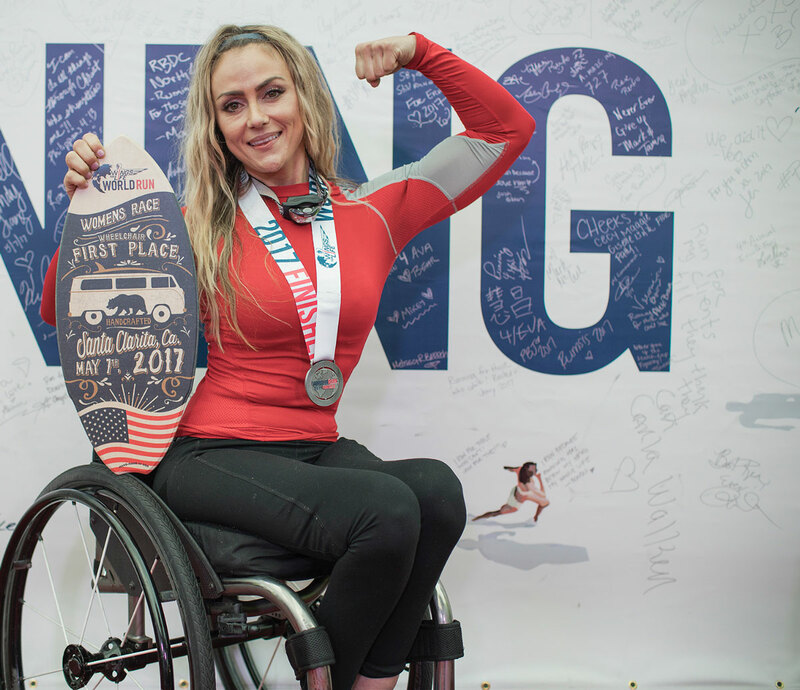 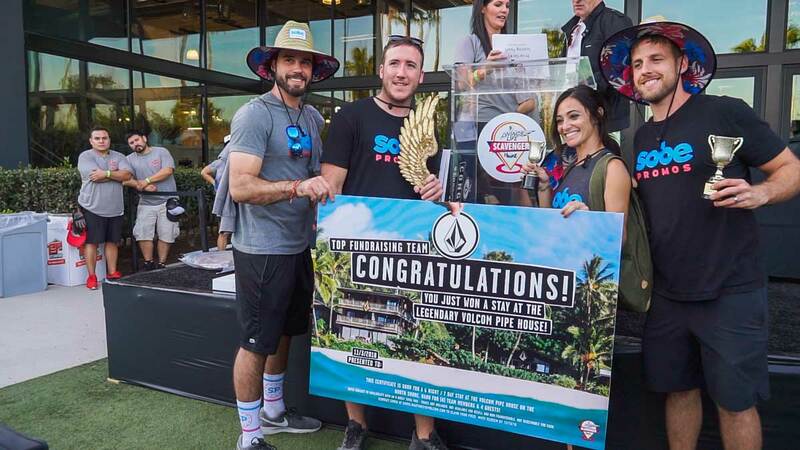 Teams of four will race around the raddest action sport companies in Orange County to compete for killer prizes, all while supporting spinal cord research! 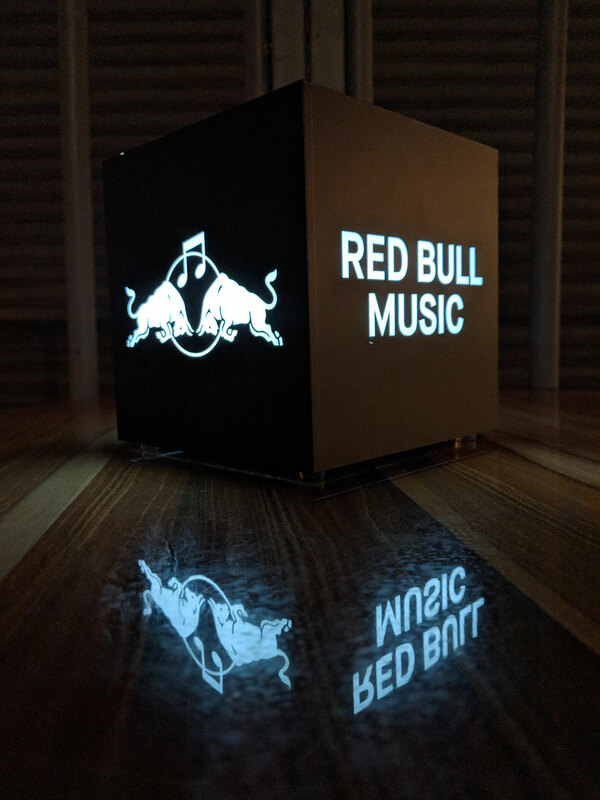 If you can IMAGINE it, we can CREATE it, and your customers will EXPERIENCE it.